My experience on the Blanca’s house mission in the Dominican Republic was truly eye-opening and rewarding. Interacting with patients, assisting in the operating room, as well as aiding in the intake of patients were all part of my responsibility on this mission. 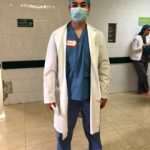 Working closely with the surgeons, nurses and other medical professionals allowed me to receive a hands on experience in the medical field and acquire a feel for whether this is what I want to pursue. I have always wanted to become an orthopedic surgeon in the future, and after my experience on the Blanca’s House mission, it was made even more clear to me why I want to become an Orthopedic surgeon, to change lives. In addition, other members of the team such as the surgeons, nurses and other volunteers, became role models to me, as I saw their dedication, perseverance and compassion towards these patients. This experience was an extremely rewarding one to me, as it showed the importance of teamwork, flexibility and dedication. As a Junior Volunteer, I assisted in many different areas of the mission which allowed me to truly see how every step and every person on the team was vital in achieving our goal. On our trip to the Dominican Republic, we changed lives each and every day, and that was both inspiring and rewarding to be a part of. 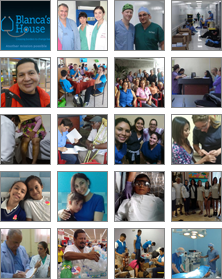 Being a part of this mission, and seeing first hand the need for competent medical care by these patients, showed the world in a whole new light, and opened new perspectives to how I view my life. 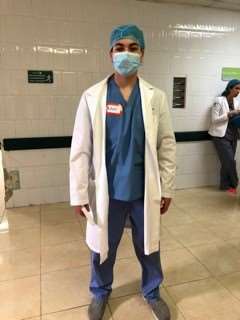 My experience on this Blanca’s House medical mission was rewarding, inspiring, and due to hands on experience in the medical field which I could not experience anywhere else, it solidified my plans for pursuing medicine in the future.